Srinagar: Ahead of January 26, security has been tightened up in the summer capital, Srinagar, less than a week before Republic Day (RD) function in view of series of grenade attacks by militants on security forces. Meanwhile, the road along S K Cricket stadium, where main RD function for Kashmir valley will be held on Saturday, were closed for vehicular traffic and pedestrian movement. However, the main RD function in the state will be held in Jammu, which is the winter capital of Jammu and Kashmir. “A high alert has also been issued in Kashmir valley, including Srinagar, following inputs about the militant plan to carry out attack on security and other important installation on or before RD function which will be held at S K Cricket Stadium since revocation of Bakshi stadium was going on for the past few years,” a security force official told UNI. “Field commanders have been directed to remain extra vigilant in Kashmir, particularly around sensitive security installations across the valley,” he said. He said the advisory comes in the backdrop of five grenade attacks in the last about a week, including three in Srinagar. “Checkpoints have been established at various places in the city and vehicles are being thoroughly checked and passengers are properly frisked before allowing them ahead, particularly the ones coming from other districts into Srinagar,” he said. A civilian was injured when militants hurled a hand grenade towards the security forces at K P Road in south Kashmir district Anantnag on Saturday afternoon. 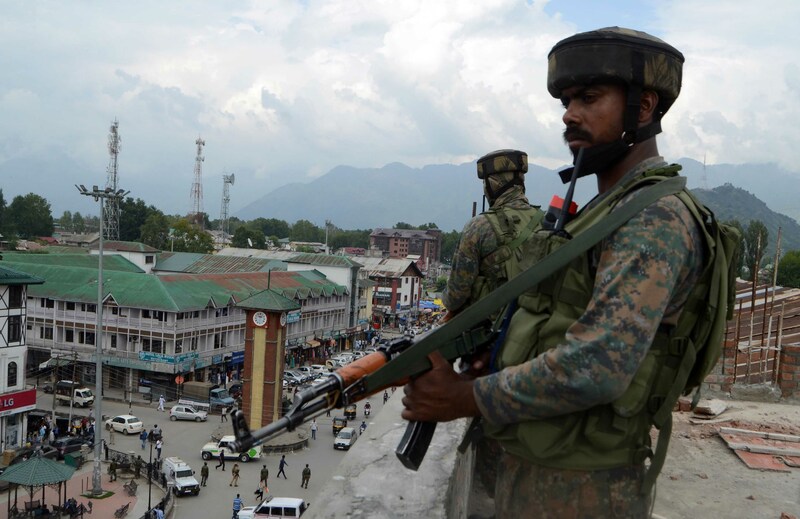 On Saturday, security forces conducted surprise searches of vehicles and frisking of people in the civil lines, including historic Lal Chowk, the nerve centre of the summer capital. The move came just a day after militants lobbed a grenade at CRPF party near Ghanta Ghar in Lal Chowk though no one was injured in the attack. Three policemen, including an Assistant Sub-Inspector (ASI), were injured in a grenade attack by militants on Thursday near Zero Bridge in Srinagar. Militants on January 11, hurled a hand grenade towards a picket of Central Reserve Police Force (CRPF), at Lal Chowk in Srinagar. No one was injured in the attack.